On the day Elizabeth Taylor died, March 23, 2011, I read about the news online shortly after arriving in Basel, Switzerland for the annual watch and jewelry fair. My immediate reaction beyond the sadness was separation anxiety. I wanted to be in the States and see the coverage celebrating her life. Ms. Taylor had been a patron saint of my jewelry world since Penny Proddow and I wrote Hollywood Jewels. She loaned us some of her most precious pieces for the 1992 publication and corresponding exhibition we curated at The Academy of Motion Picture Arts & Sciences. I felt the loss when she passed away and wanted to be a part of the shared mourning experience in America. I most definitely did not want to be in Switzerland looking at timepieces. Well, as it turned out I could not have been in a better place to celebrate Ms. Taylor’s life. Several of the jewelers in attendance had reminiscences they wanted to share. People recollected every last thrilling detail of selling her a piece of jewelry. Others had been invited to Ms. Taylor’s home in Bel Air, California and into the bedroom to review her legendary collection. Truth be told, a handful of jewelers had made their way into the inner sanctum because Ms. Taylor loved sharing her jewelry with people who truly appreciated it. The accounts continued when I returned to New York and multiplied exponentially as her estate appeared for sale at Christie’s. Her jewelry filled two catalogues and flowed over to an online sale of 621 more jewels. The collection was wider and deeper than I could have ever imagined. It had historical pieces and contemporary creations. There was one of kind designs and off the rack icons like Cartier’s Love bracelet—in multiples. This diversity led some caddy people to questions like “She had some great jewels but don’t you think the Duchess of Windsor had better taste?” Well, I would reply, that may be true, but Elizabeth Taylor’s collection reflects a far more fascinating life, an array of interests, decades of different styles. Some feeling the pain of her loss would remark, “Well we will never see the likes of her again.” You know what? 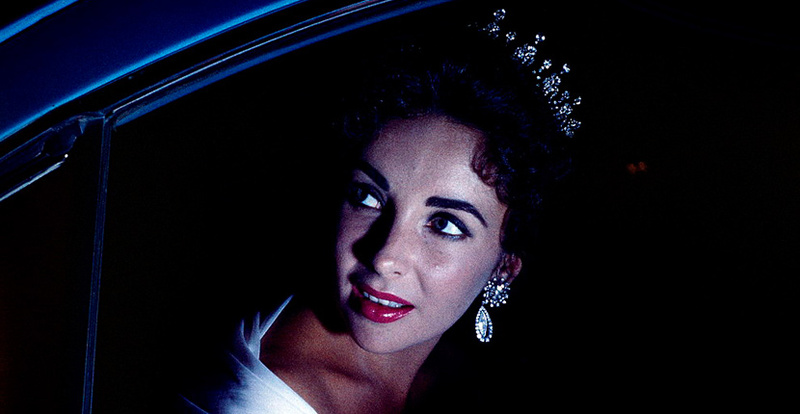 No one ever saw the likes of Elizabeth Taylor before Elizabeth Taylor. She was one-of-a-kind special. In Hollywood Jewels, Elizabeth Taylor was the only actress to whom we devoted a whole chapter. In it we just scratched the surface of her collection and the stories attached to them. There is a lifetime full of pieces with layers of stories about where, when and how she received and wore them. The historic Peregrina Pearl alone has any number of adventures added to it during her lifetime. This is why Elizabeth Taylor has a regular column on The Adventurine. It will be a celebration of her style, her life story and how it has affected so many. Above all, it will be a remembrance of her wit and wisdom through the lens of a lifetime collecting jewelry.